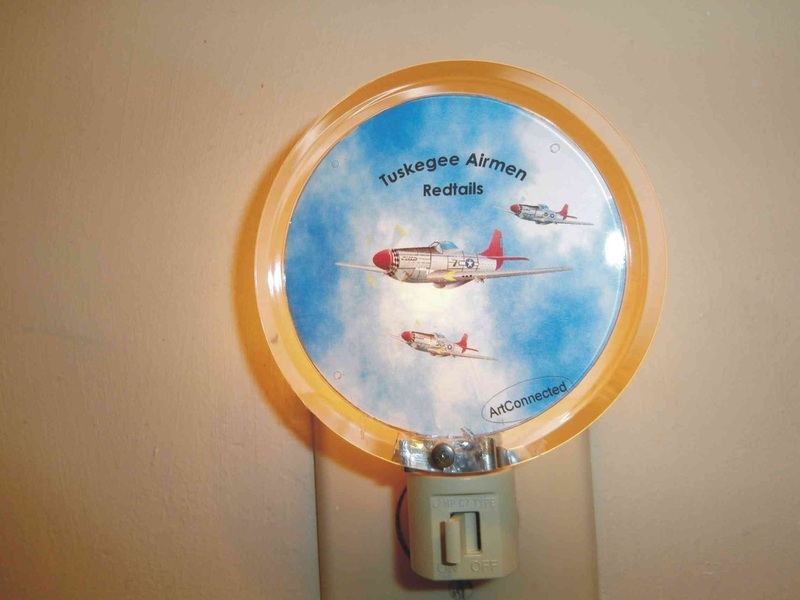 Tuskegee Airmen/Red Tails Night Light. Printed with the historical Mustang Redtail Aircraft. 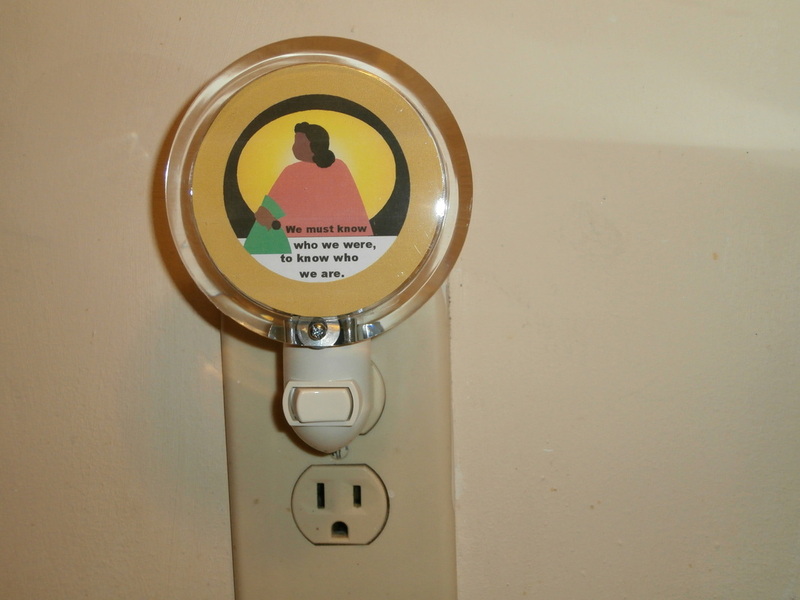 Night Light 3" circle - can be used in any room or hallway. $19.95ea. "We Must Know Who Were - to know who we Are"
3" Night Light. Can be used in any room. $19.95 ea.